What a find! Offered for the first time in 48 years! 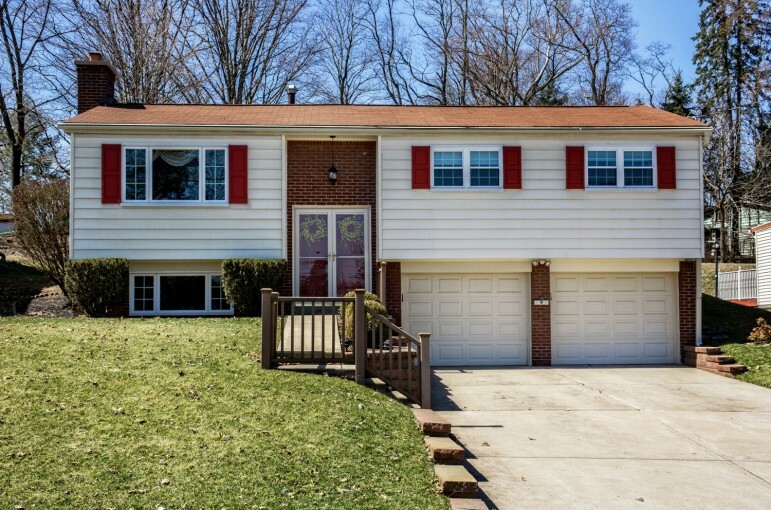 This immaculately maintained home is NOT your average split level! Featuring vaulted ceilings with beams, open floor plan and many updates. Nice size white kitchen. There is hardwood flooring under all of the carpet upstairs! Three nice-sized bedrooms. Relax on the large deck with retractable awning or enjoy the amazing yard complete with shed and playset! Finished game room with gas fireplace and half bathroom. Two car garage and level driveway. Conveniently located within minutes to shopping, dining and downtown Pittsburgh! Nice quiet treed street! Truly a wonderful place to call home.